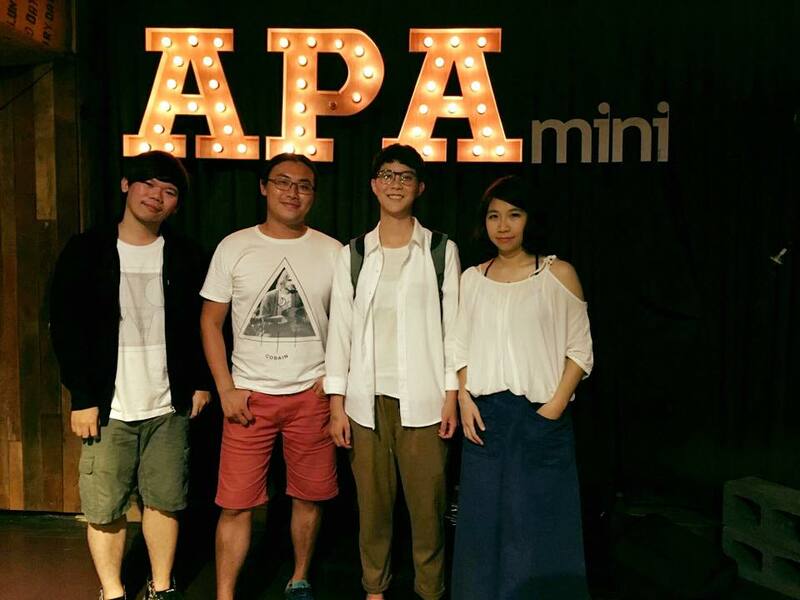 The Shoegaze and Dream Pop scene is very lively in Taiwan. Some of the bands, like Manic Sheep, have an international fan base. All the bands we identified ar in Taipei, the capital city of the country. We understand from Urayn (U.TA屋塔) that they are all friends and play often together, which makes for a very convivial scene. The music is excellent, and incorporate many influences and other genres in their Noise Pop. We invite you to discover 7 bands in this quick guide, part 1. Take the time to listen their superb musical work. You should enjoy it immensly. Note that there is a documentary in the making, called "Taipei Dreams" about some of the bands from Taipei Shoegaze scene. It was shot by Chaos Recommend during a Shoegaze event that was held in Taiwan on 2017 9.16(sat)@ APA mini and 9.17(sun)@Taipei Revolver. It is scheduled to be ready in the spring of 2018. Dream Pop band - U.TA屋塔 was originally formed by vocalist Urayn and Bassist Garry Lu at Taipei, Taiwan, 2006. And the band was fully built up when guitarist John Lu and drummer JC Tao joined in 2013. U.TA was influenced by Cocteau Twins, Mazzy Star, Faye Wang, Portishead, and Massive Attack. Soon on Noise Artists all going well! Unexpectedly, overseas audiences have become increasingly interested in their music over the years. Manic Sheep has been opening for KYTE (UK) in 2012, The Album Leaf (US) in 2014, Neon Indian (US) in 2015 and also attended many festival, such as SXSW (US), NXNE(Canada), CMF (Canada), Clockenflap(HK), Fujirock(JP), MPF (TW) etc. Their music is wrapped in the ethereal male & female vocals, and after the melodious noise wall has melted, you are still contaminated with a cloudy and bright noise pigment. Sacrifice of Despair, in September 2011. Doodle are doing a very melodic Shoegaze, mixed with elements of twee and psychedelic music. Their soft vocals are not unlike Ride, as is the following song. HuanHuan(緩緩) is an indie-band from Taiwan, "Singing about uncertainty, making sounds for healing". Founded in 2015, they have released one Eponymous EP in August 2017. A very solid piece, it includes 2 long songs (6:40 and 9:22). Male and female lead vocals are intertwined, singing the restlessness of our hearts and the broken heart of the Earth." 4 demos have been released on their Bandcamp page since May 2016. We hope you enjoyed these few steps in the world of Taiwanese Shoegaze & Dream Pop. Do not hesitate to your knowledge with us of any other similar indie bands.